Sevendust has completed work on their new album, and the fresh tunes will arrive this spring. The longstanding Atlanta metal band has also unleashed a new track called “Dirty,” the debut single off the new album, “All I See Is War,” and the hard-hitting-yet-melodic tune is currently available at digital outlets and with a fiery music video via YouTube, which you can view below. “All I See Is War,” which will feature 12 original tracks, will arrive on May 11. The album will mark the follow-up to Sevendust’s 2015 album “Kill the Flaw,” which includes the Grammy-nominated hard rock and metal single “Thank You.” The band is working with producer Michael “Elvis” Baskette, who has worked with Slash and Alter Bridge, on the new tunes. 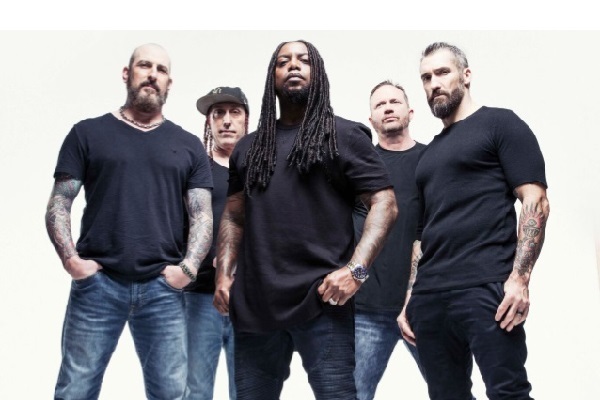 Sevendust has also announced a bevy of headlining tour dates to promote the new album kicking off in April. , and they’ll perform at a number of festivals along the way, including Welcome to Rockville, Fort Rock and Rocklahoma.